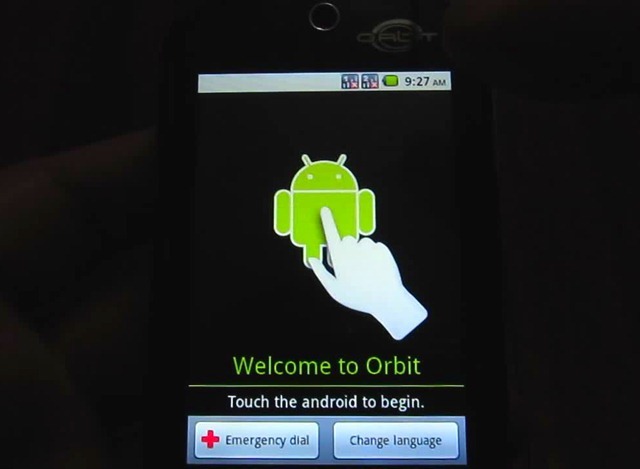 If you’re been keeping up with the Cherry Mobile Orbit News, then you know that a week or so ago, Cherry Mobile started to offer a firmware upgrade to their budget dual-SIM Android smartphone. The update is said to bring the phone to version 2.2.2 from 2.2.1 and said to fix crashes, battery issues and performance. Since it can be a little bit of a hassle to visit a service center for your phone, especially if you live far away, we’ve decided to help you guys out and teach you how to update your phone by doing it yourself. The instructions and video on how is after the jump. First off, you’d want to backup everything you have currently on the phone. The firmware update will remove all data from the phone and render it like it was completely factory reset. If you’re like us, you’d just prefer to save all your contacts on Google Mail’s contact list. This means that your contacts will reappear on any phone as soon as you pair it with your Google account – no need to backup your contact data. Your SMS and your applications are another thing. We didn’t mind losing our text data, but we wrote down a list of apps we want to download again just so we won’t forget and need it later. Also, to prepare, have the phone at a relatively good battery charge to make sure it doesn’t die while updating. Once the preparations are done, you’ll need a file named ‘update.zip’. You can get those here, or here. (Thanks to a TipidPC member named “nes” for the file.) Turn your phone off, take the micro SD card, and save the ‘update.zip’ file onto the root directory of the memory card. To be sure, check the file size and it should read 96.3MB. Update: Cherry Mobile’s website has released the update file and instructions on their website. They’re the same instructions but you can download their update file here. Now for the update process itself! Watch the video below to see how its done. Disclaimer: While the procedure to update your phone is usually safe and risk free, complications might still arise. We at the Technoclast wish to say that any damages arising from updating your phone in this way are not our responsibility. If unsure, you should let a qualified Cherry Mobile technician do the update for you. Hi, kindly disregard my previous comment, my mistake, I did not put on the speaker volume of my pc while am viewing the video footage of the update process. when i play it again i found out there was additional instruction in the video. thanks. Grats on updating your phone! hi! any update from froyo to gingerbread on orbit? thanks! Hi marvi, there’s no official update up beyond the Froyo 2.2.2 version up on their site. Not sure if they’ll give us an update for it anytime soon.